The mission is to put TOMATOER out of buisness and get back to your own time. One thing is for sure, they used alot of time and CAREFULLY worked on the level desin , starting at level 5 to get abit harder,but you wont get upset before you're on level 10 or so,the learning curve is damned smooth, the levels are more or less filled with switches to activate diffrent stuff, and you will be able to talk to diffrent people and to all who know "hapablap" from irc/email then i could inform you that it seems that its hapablap who made the dialouges in the game,or copied em atleast (you will laugh your head off in the Forest levels :)) , some levels require that you first help out your two friend past some stuff and then 1 of you must go back and all the way round the level on your own,nice touch and added more playbility, Every 5th level has a theme change of both msx and gfx style. first of the password are like very cool and funny, there is level passwords as "GR8T"(short for GREAT) , "JLLY" (short for jelly) etc, inact u will remeber em quite easily,in the main menu you have the password system wich is quite easy and no niggles, perfectly done. 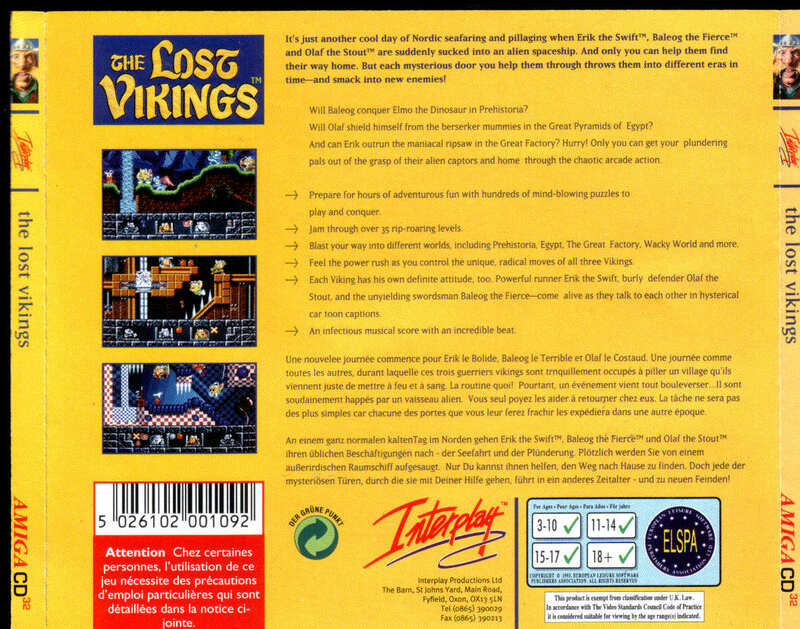 This is the only thing thats changed over the A500 version is the controlls as they are using the cd32 pad 100% and actually they are so good that you will enjoy playing the game with the orginal pad even,tou you will get a bit furious at level 16,17 , the controlls are some of the best i have seen on any cd32 game,as all the buttons are like positied where u want em, there is no redefine buttons and well its NOT NEEDED. Direction pad is UP/L+R/Down , Red: JUMP , Sword , Sheild , Blue: Bow and arrown,Smnash Wall with head + Sheild , Yellow: Call up the trade / use top menu (U have to be close to the other players to trade ITEMS) , GREEN: USE Switches/teleporters etc , FF: Use food/power up you have picked up and selected , RW: switch among players. 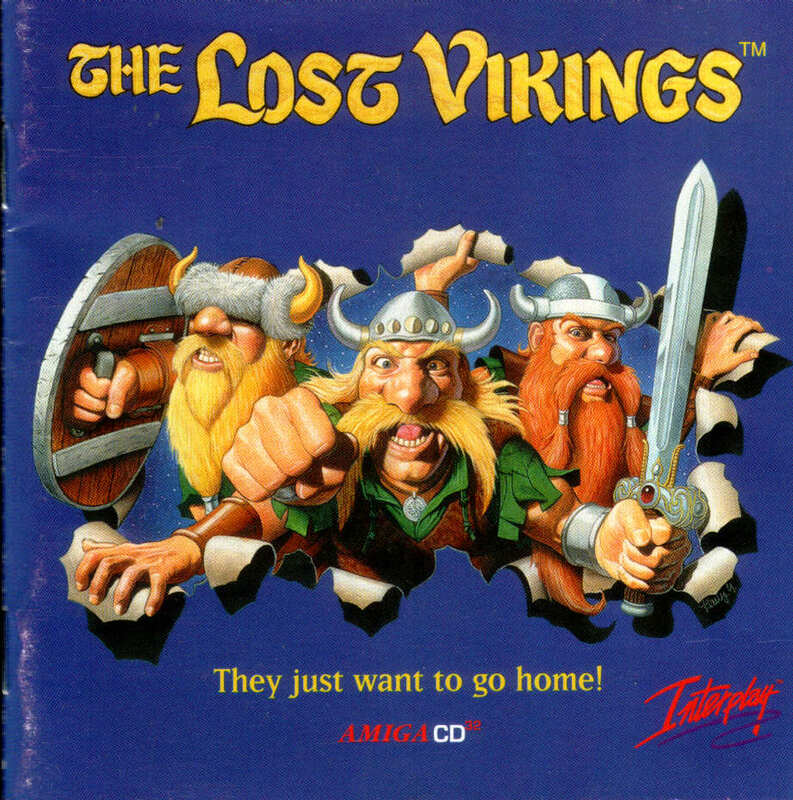 This game is as good as it gets really , the only reason why i didnt give it a full score is that its a cd32 game using 2 megs or so of the CD and thats a waste of space in my opinion, they could have atleast done the music to cdda , but no it aint. TLV 2 has speech aswell, but tlv is better in gameplay and not as boring as tlv2 is more or less the same for like 10 levels at a time, tlv2 and its speech is the only reason to check it out as they are funny,but TLV Cd32 really is alot better even if Tlv2 is 4-5 years new'er. With speech or cdda this game (TLV) would have acchived maximum score, but i wont as that might have given you too much on an "I WANT IT NOW" feeling, but you should get this title now as you will love it.